MangaHelpers > News > Site News > Mangatellers are printing the the first Volume of R.u.N.! Mangatellers are printing the the first Volume of R.u.N.! Mangatellers, the group that has been releasing the chapters of R.u.N. here at MH, have recently started a Kickstarter campaign in order to get its first volume printed! R.u.N. 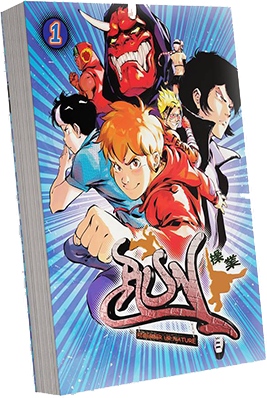 is about the parkour practice, and a lot of parkour teams, traceurs and freerunners, including Parkour Generations and Yamakasi, have been a great influence for this manga. Mangatellers have used numerous videos and photos as reference material for the panels in R.u.N. The Kickstarter campaign has reached 50% in less than a month! And if you wanna help somehow, you can do it through this link. Hoping we can gather more R.u.N. fans! Copyright (c) 2007-2017 by MangaHelpers. All rights reserved. All times are GMT . The time now is 06:20.